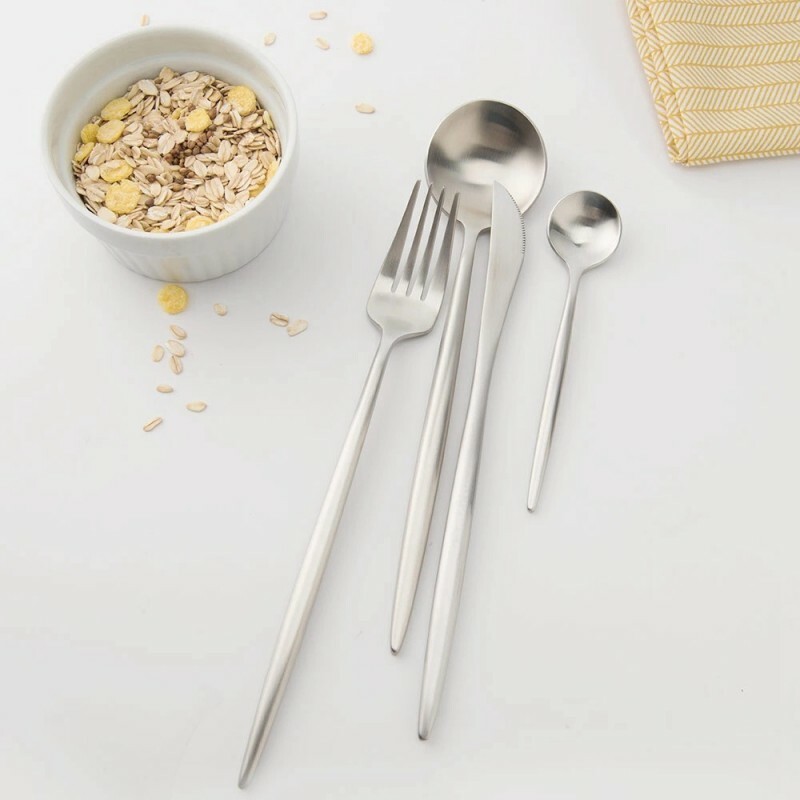 Adopt import 304 stainless steel, the chromium content is as high as 18 %. 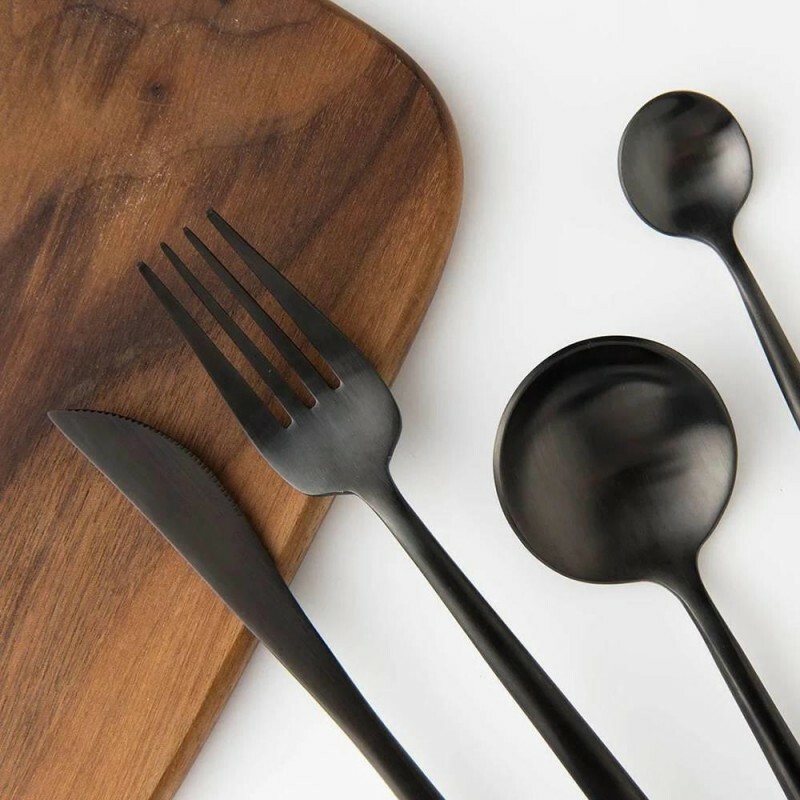 With the high-quality steel, tableware has the characteristics of corrosion resistance, high-temperature resistance, strong toughness. 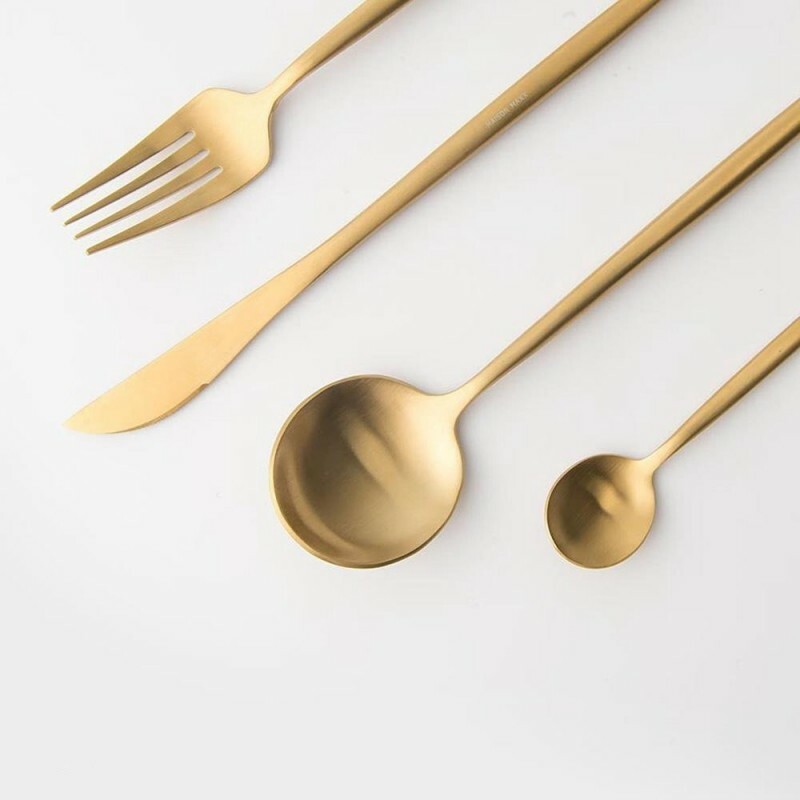 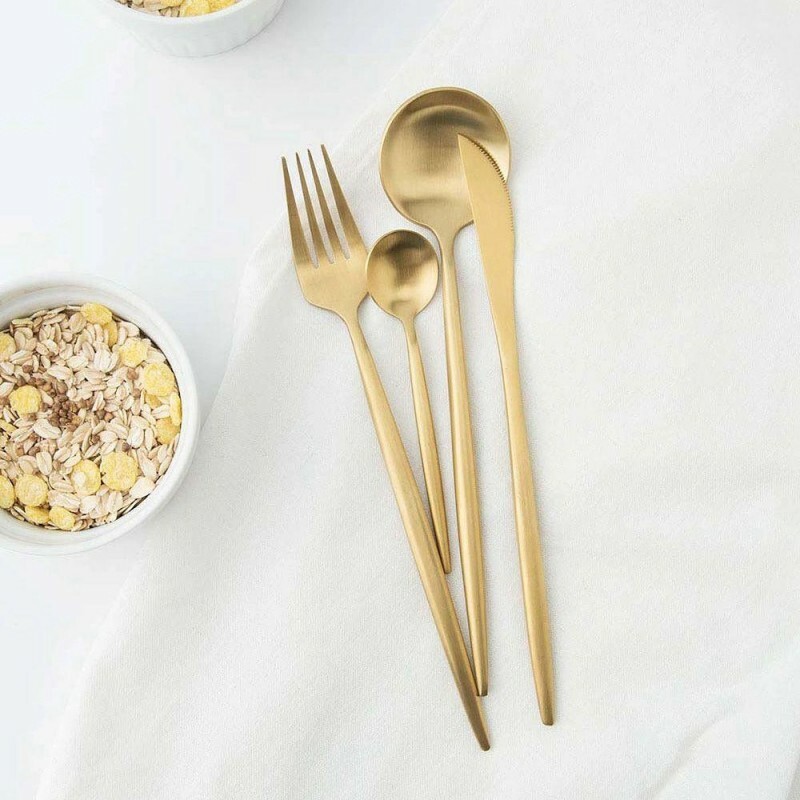 five crafts of prototype cut, high-pressure forged, hot quenching, polished and vacuum electroplating with 102 painstaking processes to make better cutlery, sturdy enough, special finished, elegant and solid. 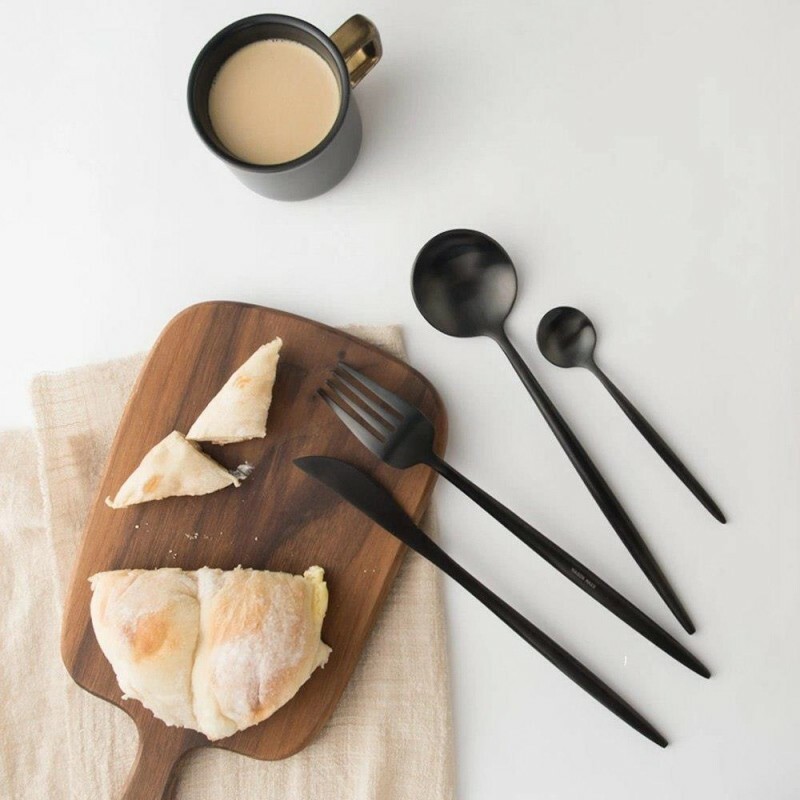 With the unibody design, tableware hardness is high, not easy to be scratched, through the 1.2m free drop test, the tableware is difficult to deformation, no seams, easier to clean. 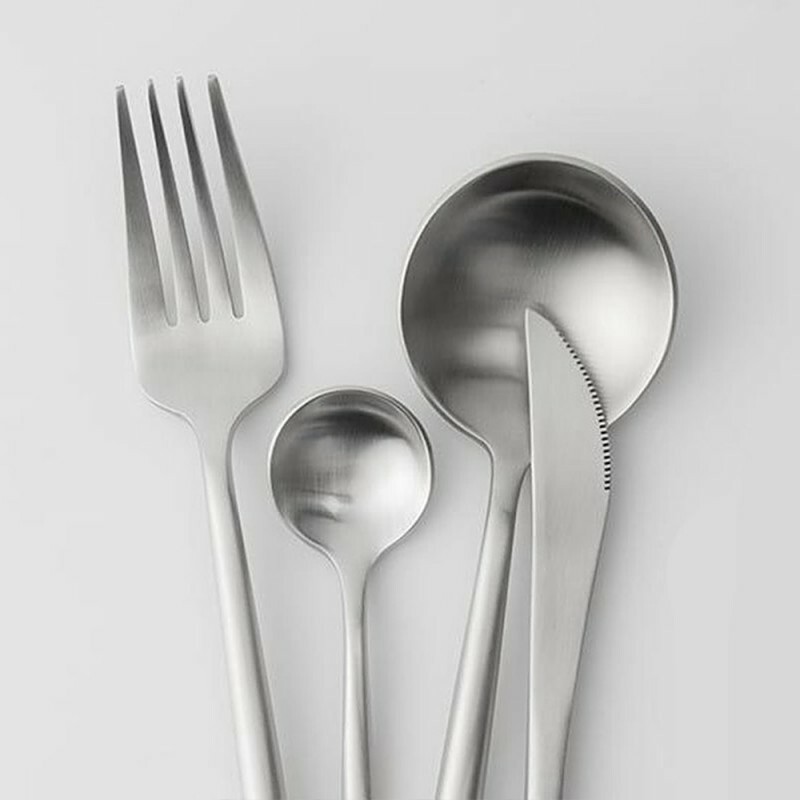 Vacuum plating titanium, it makes every dining experience a luxurious one with this elegant set. With a beautiful gift box, this flatware set is a pretty present for your family or friends.